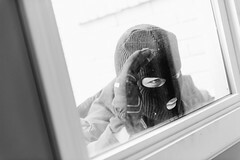 Renters are more likely to experience a home burglary than homeowners, 85% of the time. Metro Detroit has some of the most widely varied neighborhoods in the States, from blight-laden uptown Detroit streets where abandoned structures house squatters that steal power from the city with illegal cables, to bustling suburbs like Birmingham, where locking your doors when you leave your home can seem like an unnecessary formality. This post is for the people toward the lower end of that scale – the folks who leave for work in the morning just a little nervous about whether or not their home will be secure until they get home. Here are some of Royal Rose Properties’ best tips for keeping your rented home safe without breaking the bank. Magnetic alarms are pretty clever: you attach one side to your door and one side to your door frame. Whenever they’re turned off, if the two parts are separated (by the door opening), a piercing alarm sounds. There’s a couple seconds’ delay so that you can quickly deactivate it before the alarm sounds (or else you’d never be able to turn the alarm off when you left the house). You can also activate them while you’re asleep, focused on work, or otherwise at home and unalert, to make sure you’re aware of any door coming open unexpectedly. A small metal box that attaches to the outside of your home or garage, contains a house key, and opens to a combination that would take days to grind out by trying them one by one. A personal lockbox might not literally keep your home safe all by itself, but it enables you to lock your doors much more confidently when you leave, knowing that even if something happens to your keys while you’re out, you’ll still be able to get back inside when you get home. As simple as it sounds, one of more effective ways to keep people from breaking into your house is keeping them from seeing inside your house to identify something they might want to steal. Again, criminals are lazy – they’re not going to break into a random house unless they know they’re going to get their hands on something worth the risk. Locking mailboxes have the disadvantage of not being a place you can put mail you want to go out — you’ll have to drop your stuff off at a typical ‘blue box’ for that. But they do keep your mail safe from people rifling through for personal information they can use to steal your identity, and that’s a big deal. Furthermore, a random passerby can’t just idly open a locking mailbox and see that it’s full (and thus know that you’re probably out of town), meaning fewer break-in attempts. What’s More Important to Renters – Cheap Rent or a Nice Home?